Colts come out and ram the ball right down Houston’s throat…a quick 7-0 lead on the opening drive. The Colts stop the Texans, get the ball back on their own 1-yard line…a bad snap in the end zone, the Texans land on it to tie it up 7-7. Momentum shifts, the next thing you know it’s 28-10 Houston halfway through the 3rd quarter. The next thing you know it’s 31-31 heading to overtime. The next thing you know they exchange FGs in OT and the Colts are at their own 43-yard line and go for it on 4th & 4 with 0:27 left. They don’t get it. Houston zips one pass into easy FG range, and they hit the kick for an improbable finish winner. Predictably, the announcers lost their minds about the ‘go for it’ situation and the home Colts fans booed. What is wrong with people? So, the ‘smart’ thing to do was to go for the tie? What are the Colts sitting on a 3-game lead in the division? The Colts had a chance to WIN versus settling for a tie, so they took a shot. Getting 4 yards is like some major mountain to climb? They pushed around the Texans all day. The Texans defense was gasping for air. What’s 4 yards? If the Colts have any chance at all making the playoffs, they need wins not ties. So, they went for it and didn’t get it. Good for them. Good for Frank Reich…what are the Colts protecting that would be so terrible to lose? Had they converted and won, Reich would be a legend. We’re really sick as fans. We want the teams to be aggressive…and then they are, and the masses destroy them. It’s the sick thinking we have in fantasy. Win your week and all is fine all week. Lose your week, and the whole world is coming to an end and only wild waiver claims and reaching trades for the latest RB who had 5+ catches or ran for 70+ yards can soothe the pain. We have no patience. We have no tolerance for losing, but it’s our ‘loser mentalities’ that cause us to lose. We just want to not lose. What’s so wrong with losing? You can hate it but every week is another week of the process and pruning the team…or just sometimes waiting for a key guy to get un-hurt. 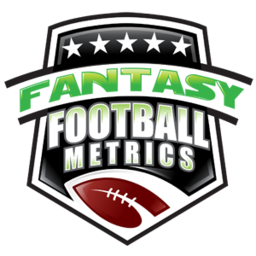 The fantasy season is 13-14 games long in the regular season…you’re going to lose up to 5-6 games and make the playoffs. The world doesn’t end and your whole team doesn’t need a makeover because you lost one week because your opponent had the high score for the week or your RB sprung a hammy, etc. You don’t go to a casino to play blackjack, for profit, and takeout your stash and bet it all on one hand. You play many hands. You get a feel for the table and maybe count the cards to put odds in your favor, slightly. The Colts gambled and lost, and we should admire them for it in their current state. We gotta learn to be better losers to be better winners. ‘Hating to lose’ sounds cute but it accomplishes nothing…because people still lose all the time. NFL teams and your fantasy teams are going to lose. This fantasy thing is a game of sticking to a plan, not radically changing it every week…you just keep looking for buy low/sell high opportunity, learning more about the players/teams with every week and work the waiver wire and get in position to make a run at the playoffs or keep a stranglehold a division title wire-to-wire. The Patriots start out slower than expected most every year now…and what always happens – Belichick adds players, changes lineups, grabs someone else’s trash and makes it a treasure and wins his division EVRY YEAR and makes a run at the Super Bowl. What more could ask for from your NFL team your and your fantasy team? If I’m a Houston fan, ‘we’ won…but it doesn’t feel like it. A 28-10 lead over a wounded Colts team and they waltzed right back into the game in the final 20 minutes. Unreal how weak this Texans team has become – the offense is wandering and the defense is easily pushed around. -- So, Keke Coutee (11-109-0/15) becomes a PPR star in one game. How is this possible? I’ve never seen the Bill O’Brien Texans overwork a slot receiver before and now, in his NFL debut, he’s the center of the universe? How this seemed to work is…the Colts played back on Hopkins-Fuller and let Coutee roam. Add to that, Houston has a bad O-Line, so Deshaun Watson dumping off/playing Coutee in the short game made sense. Coutee is nothing special as a performer. He had a ton of targets, dropped a few, and had a long play of just 19-yards. He didn’t do much besides ‘be open’. He’s not terrible but he’s not any type of special game breaker. He’s fine. Will this be ‘a thing’, is this what Houston does from now on? I don’t know. They seemed pretty in love with it – it was there, and they took it. Will Fuller got hurt/eft the game and that seemed to exasperate the situation. I’m not fighting it…it could be a thing, but it’s so out of character for this offense. I’ll mostly ‘pass’ and if I’m wrong, so be it. My depth at WR is pretty salty as it is. Rare the case Coutee makes my WR group. If I snagged him off waivers it would just be to trade him. -- I gotta be honest. I’m watching this game and seeing a battle of Keke Coutee and Nyheim Hines (4-10-0, 9-63-2/11) and I am wondering how NFL teams let themselves get this bad. Both UDFA talents that were drafted on purpose. Hines is like Coutee…there are a thousand players that could fill the same role in the same way. Indy has every RB hurt/out so they have to get the ball to Hines, they literally had nothing else because Jordan Wilkins isn’t an NFL-level talent and Marlon Mack is eternally hurt. The Texans have a horrible run game and decided to make Coutee a RB by proxy/targets. It’s really sad how much money Lamar Miller makes to produce utter garbage for years for Houston. Hines is a Jalen Richard 3rd-down back you can throw some targets at. He’s not a real RB. He’s not a great 3rd-down back either. Robert Turbin returns and may be a real sleeper in Week 5 because Mack is out. Marlon Mack was early ruled out for TNF. I’m trying to hold him to see if he’ll be ‘the guy’, but in places I can’t afford to have his roster spot locked out Thu-Sun and then wondering what Week 6 brings…I’m done. I’m moving on if I see anything better to gamble on. If he’s back Week 6, I’m not sure I would trust it so I’m looking at Week 7-8 before we know. If you don’t have time, and you see other things to tinker with -0-don’t clutch him too hard. This is going on way too long, and now Turbin back. I’ll wait if I can afford to, but I’ll take other risks/sleepers in a heartbeat if I see them out there. These hamstrings are killers…my Randall Cobb stock is on the chopping block in redraft, as is Marquise Goodwin. If I see other upside/have urgent BYE week needs, I can’t have a bench filled with hamstring guys…even if I regret letting one go 3-4-5 weeks from now when they come back producing. If you have current needs or see opportunity players…especially at WR…the hamstring guys can go because its however many weeks they’re out plus a week you won’t start them when ‘back’ for fear of out in the 1st quarter. Leonard Fournette is the only one I have the patience of Job with because he’s in a special class when healthy. Pascal is a solid WR prospect out of Old Dominion, a UDFA in 2017. He looked like he belonged in the NFL in this game. As the game wore on, Pascal kept popping up as a desired target. With no TYH, he’s as much of a sleeper play this week and anyone from the Colts. Luck has the best/longest relationship with Chester Rogers (8-85-0/11), they’ve been an item for a few years. He’d be the safest money to play if you had to. The mainstream is going to Ryan Grant (5-64-0/7) as the big winner of a no-TY game, but Pascal and Rogers look more natural with Luck. Grant is fine, but he usually gets the short, dump-off passes…not really fantasy juicy, because he’s not very athletic or a big YAC guy. -- Flying under the radar in this game…I think the Texans are nearly fed up with Lamar Miller (14-49-0). They gave a virtual split in snaps and targets to Alfred Blue (13-31-0, 0-0-0/3). You need touches this week? Alfred Blue might get 10-15 of them…he also may be named starter if he can do ANYTHING this week. -- I remain interested in the Texans-DST because of their schedule, and that’s the only reason because their defense looks otherwise mediocre at best. If the Texans were halfway decent I would say they are the defense to get and start every week through the end of the season…it’s that good of a schedule, but they got worked here by a wounded Colts team. The sad Giants bullied them Week 3. New England and Tennessee both had no issues with them Weeks 1-2. They’ll be a fringe DST1 projection ahead because of schedule but one or two more duds and they won’t even be on our radar. They have big name pass rushers and nothing else, essentially. -- The Colts-DST looks way more appealing. After this week with NE, I would argue you would rather run with the Colts-DST the rest of the season over Houston-DST – their schedule is so good. Better than the Texans. The Colts defense is #2 in sacks YTD and played well in every game this season. They gave up 34 points to Cincy opening week, but 7 of those points on a defensive score. They allowed 37 here, 6 in OT and a defensive TD.